How did everything get so dumb? How did we become hostages to idiocy? What must we do to be freed from a captor whose ransom note simply reads, ‘D’oh’? 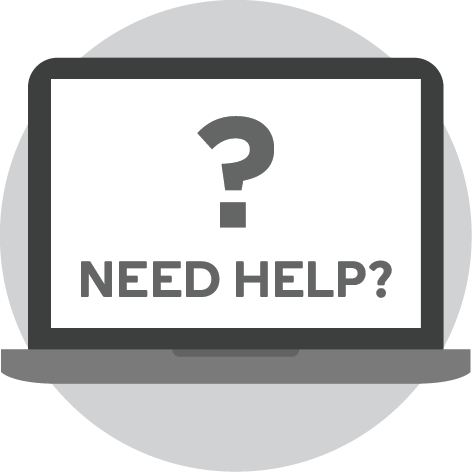 The deteriorating quality of our public debate and the dwindling of common sense in media, politics and culture can drive you to despair and rage. It certainly drove writers Helen Razer and Bernard Keane to a desperate act: befriending each other for long enough to write a book. Join forces with these uneasy allies to fight against a world that has lost its reason. Explore what’s behind the remorseless spread of idiocy, and why there’s just so much damn Stupid around you. Stupid isn’t just ignorance; it’s not just laziness. Worse than the absence of thought, Stupid is a virus that drains our productivity and leaves us sick and diminished. And Stupid has a long, complex and terrible past, one we need to understand in order to defeat it. 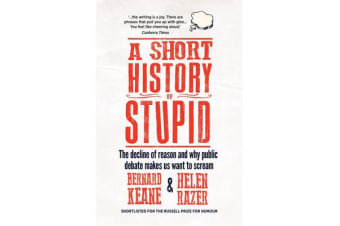 A Short History of Stupid traces the origins of this maddening ill, examining the different ways in which we’ve been afflicted over the last three thousand years. It damns those who have spread Stupid and celebrates the brave few who resisted. It shows how Stupid tightens the grubby grip of the foolish around our throats. 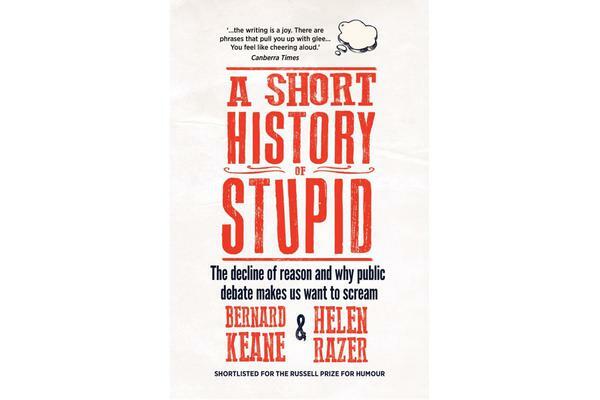 Hilarious, smart, unpleasant, infuriating and rude, A Short History of Stupid is at once a provocation and a comfort. It will spark debate, soothe the terminally frustrated and outrage the righteously Stupid. It is a book whose Stupid time has come.